A freelance writer from Golden, Colorado. She recently ran her first 50k. I’ve been training to run my first ultra since 2015. 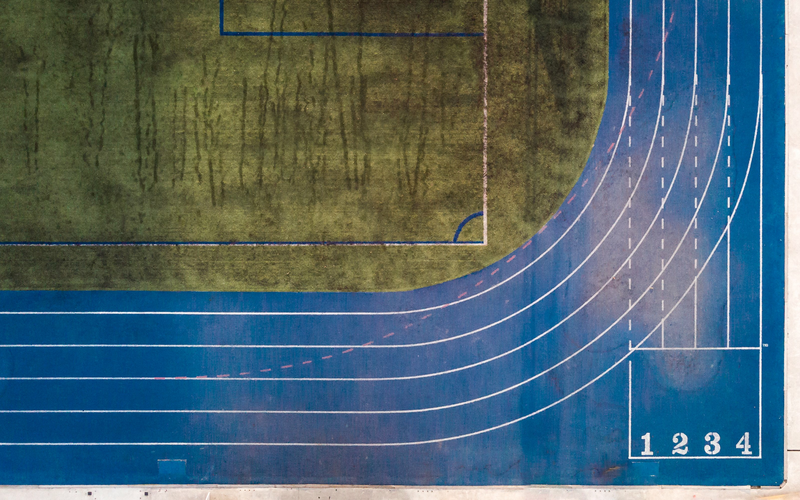 No, it’s not an exceptionally long training plan. It’s just that every time I ramp my mileage up to anywhere near 50 miles a week, I’m plagued by injury or chronic pain—debilitating tightness in my IT band, plantar fasciitis, and, last fall, occasional tingling and numbness in my right foot. It’s hard to run 25-plus miles (or even a handful of miles!) when one of your feet keeps falling asleep. The race I thought would be my first ultra was the Moab Red Hot, held in the iconic red cliffs just north of town each February. I signed up for the 55k distance and laced up my shoes, only to find, as the race loomed closer, that tightness in the back of my knee—my pesky iliotibial (IT) band, which had a tradition of cropping up to bother me since high school cross-country practice—made it excruciating to run more than about 20 miles. At the last minute, I dropped from the 55k distance to the 33k. I finished feeling pretty good, but disappointed that I hadn’t broken the marathon barrier. There have been a few more false starts since then, including a first-timer-friendly race (the Bear Chase Trail Race 50k) I signed up for in the summer of 2017 and then had to drop from when I tripped and had a nasty fall just a few weeks before the early-October race date, thanks to numbness in my right foot. When I had to scratch from yet another race, I realized it was time to take a long, hard look. Maybe I needed to listen to my body and stick to the half-marathon distance. Maybe I wasn’t meant to be an ultrarunner, after all. I tried all kinds of remedies. 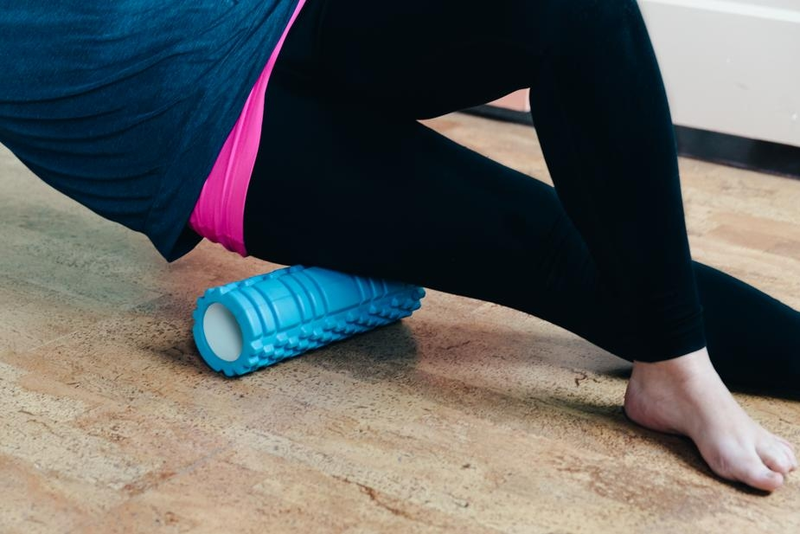 I spent hours laying on the floor with my foam roller and, occasionally, with other, meaner-looking objects practically guaranteed to loosen my sore muscles. I saw a chiropractor and an acupuncturist. I even saw a neurologist, who ordered an MRI to rule out neurological diseases like Multiple Sclerosis. Nothing helped for more than a few days afterward. During this time, it seemed like everyone I told about my ailments had a new suggestion: see this specialist, try that supplement. One recommendation that kept popping up was CBD. I was a little skeptical at first—I’m a lifelong Coloradan, but other than a brief hot-and-heavy phase in college and an occasional toke when I’m camping with friends, I’m not a regular pot user. I certainly haven’t spent much time in a dispensary—I’ve been twice, both times when curious friends visited from out-of-state. That settled it. I headed to Runners High, Golden’s local shop. “I heard you sell—” I didn’t even have to finish my sentence; that’s how often folks come into Runners High looking for topical CBD oil. “Follow me,” proprietor Deb Spence told me, and led me to the counter. She gave me a sample to try, then smiled as she told me she knew I’d be back soon. She was right. Frankly, I was shocked at how quickly CBD oil worked to relax the muscles in my right leg. 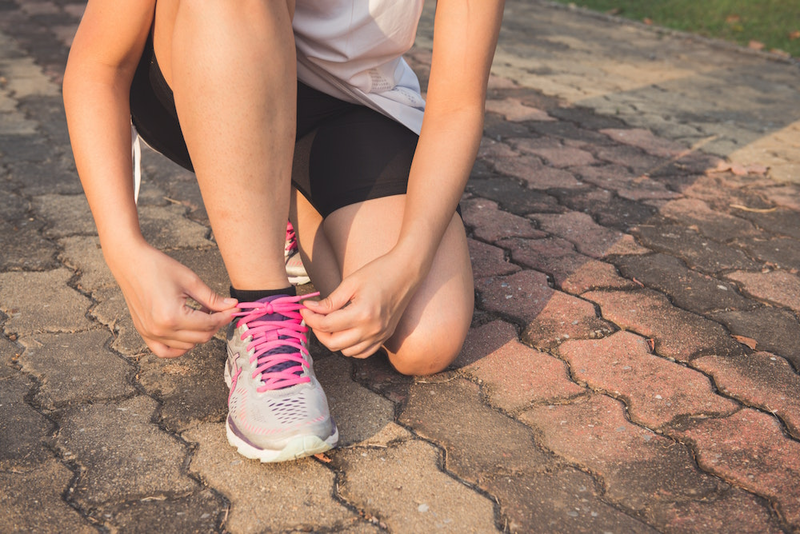 After a few days of using it fairly consistently, I noticed considerably less tingling in my right foot, and I could run farther and farther before my IT band tightened up. Armed with the knowledge that this stuff seemed to work—but without much understanding of why or how—I did a little research. I’d originally assumed I would have to visit a dispensary to buy cannabidiol (CBD) because, as its name implies, it’s part of the cannabis family. It has some anti-inflammatory properties, which is why I found it so helpful in topical form, and according to HelloMD, more than half of users use it to counteract joint pain and inflamed joints. Okay, but will it show up in a drug test? I put this question to therapeutic massage practitioner Jake Corley of Optimal Function and Wellness. Basically, he explained, the miniscule amount of THC you’re ingesting or applying topically simply is highly unlikely to register. I’m not going to be asked to take a drug test anytime soon, so this answer is good enough for me. How legitimate is this stuff? It’s true that CBD supplements aren’t yet FDA-approved. That doesn’t necessarily mean they’re not legitimate, I learned—it just means there hasn’t been enough research. That’s in large part because marijuana laws vary wildly by state, so it’s tough to get state (let alone federal) funding for research. This got me thinking: How many of the supplements I take daily are FDA-approved? I did a quick survey of my medicine cabinet, then headed to a few different Boulder-area health food stores. Turns out a lot of supplements I’ve used—and seen noticeable, positive results from—aren’t yet FDA-approved, either. In other words, lack of FDA approval doesn’t mean a supplement is dangerous; it’s just that we’re taking things at our own risk. In this case, as far as I can tell, the benefits outweigh that risk. For most of my adult life, I’ve lived in states where marijuana was legal, like Colorado and Alaska. But I’m about to move to Idaho, where pot is definitely not legal. Fortunately for most folks, the 0.3% THC threshold for CBD products means that, according to the Agricultural Act of 2014 (the “Farm Bill”), products derived from industrial-grade hemp with that amount or less THC are legal. There are six states where even CBD is outlawed (including, unfortunately for me, Idaho). If you live there, or in Indiana, Kansas, Nebraska, South Dakota, or West Virginia, the 0.3% rule is moot, legally speak. If you’re not subject to those draconian rules, though, you can even order CBD products online (thanks, Ned!). What kind of CBD should I be using? When you’re looking for a product to try, be on the lookout for the word phytocannabinoid as the active ingredient. “This will ensure you’re sourcing from a reputable, FDA-compliant provider,” Taylor adds. After a few weeks of using a topical CBD supplement—in combination with visits to my acupuncturist and regular stretching and yoga—I was able to really begin ramping up my mileage again. It was pretty incredible, after years of being in pain or even discomfort after running, to actually feel good during and after a run. Eventually, I set my sights on the 50k distance one last time. If it didn’t work out this time, I figured, I’d take the hint. In May 2018, I finally did it: I ran 31 miles in a single push at the Greenland Trail Race 50k in Larkspur, Colorado. It wasn’t the fastest I’ve ever run, and to be honest, I finished near the end of the field. But it didn’t matter. I’d finally accomplished this goal, and it was a long time coming. I’m excited to see where a holistic training program—one that includes natural supplements—can take me next. Emma Walker is a freelance writer based in her hometown of Golden, Colorado. She’s worked as an avalanche educator, raft guide and backpacking instructor, and recently ran her first 50K. On her days off, you’ll find her passionately debating the merits of various hot sauces, poring over a guidebook to plan her next adventure, or, best of all, on a trail run with her trusty mutt. You can find more of Emma’s writing at emmarwalker.com.